An evening devoted to an intergenerational conversation about art and technology between artist Otto Piene and exhibition curator Massimiliano Gioni. Otto Piene (German, born 1928) is a leading figure in kinetic art and one of the founding members of the group ZERO, initiated in 1957. 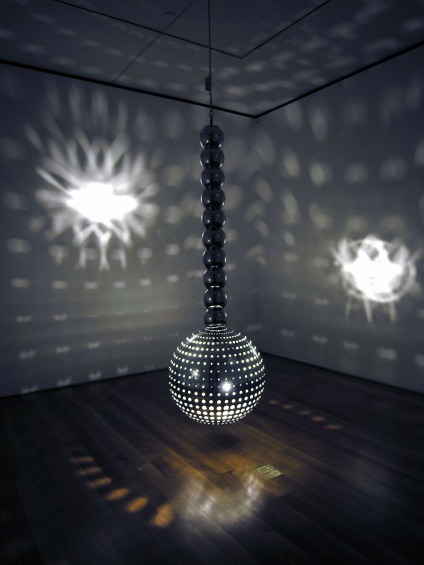 Central to Piene’s art practice are connections between art, technology, and nature. In 1974, he succeeded György Kepes as the director of the Center for Advanced Visual Studies at MIT where Piene established MIT as an important locus internationally for furthering the union of art and technology. Massimiliano Gioni is Associate Director and Director of Special Exhibitions at the New Museum, New York. He curated “Ghosts in the Machine,” with Gary Carrion-Murayari and he is currently organizing the 55th Venice Biennale opening in summer 2013. Funding for “Ghosts in the Machine” is provided by the David Bermant Foundation. Additional support is provided by the Swiss Arts Council Pro Helvetia and the Institut für Auslandsbeziehungen e.V.